What it all boils down to is energy. E=MC2. One of the understandings of this equation is that matter IS energy. For an intriguing discussion of how much "potential" you have and how "powerful" you are, read this. You have more energetic potential than many times the energy of one atomic bomb. Cool! What is energy? Well, I'm going to get spiritual here, because that's just who I am. I could just as easily present from a scientific angle. But today, it's a spiritual explanation.I find it interesting that the world was SPOKEN into creation. Likewise, a great battle in heaven referred to in Revelation was also won by WORDS. The Creator of the world said, "Let there be light." And the record confirms, "there was light." The light was good. We are told in the New Testament that Jesus is the Light of the world, and that Light, lights every man. Luke tells us that the light of the body is the eye and that it can be full of light or darkness. In another book of wisdom of my faith, says that "intelligence" is light and truth. That it was neither created, nor can it be destroyed. It also says that "elements" are eternal and when combined with spirit, (wo)man can experience a fullness of joy. This light is the actual LIGHT of Christ. It goes on to say, He is in the sun, moon, stars, the earth, in each of us, animating our eyes, and ultimately fills the immensity of space. It is in EVERYTHING, gives life to ALL things, and is the LAW that governs all things. WOW. I cannot prove it. I just know at some point it came to me, that energy is Light, and this Light is directly from Christ. 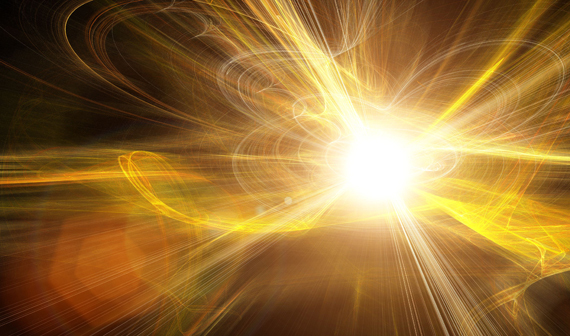 So, for me, I believe that energy healing, is simply moving around elemental light, truth or energy. I don't call myself a healer because I believe there is only One Healer. As my intention is to help relieve suffering, I believe I connect with someone through this Light of Christ, and we are able to communicate on a much higher level of understanding than if we did not connect through it. There are many types of energy modalities. I am familiar with several, including EFT obviously, RET, Reiki, Emotion Code, and several offshoots and original creations. I was open before I was introduced to EFT, but I am even more open now. I understand that many have extreme hesitation to wandering into this strange, newish, world of alternative healing. I had extreme reservations myself and pondered, prayed, and studied for several months before I felt ok to move forward. Even so, it wasn't until I had considerable experience under my belt, had many posisitve experiences, and had blown my paradigms out of the water, that I really understood the immeasurable value of it all. I thought I was open! I had no idea what was possible! There are also many different levels of healing. You can heal on one or more or all of these levels. Physical, mental, emotional, spiritual. Likewise, there are many different ways to direct healing to each level. Medicine (herbs), psychology or psychiatry, faith, spiritual blessings or "priesthood," or any number of alternative healing methods including energy healing. How wondrous is the world we live in and the opportunities that our ours! Generally, I believe the power of darkness has been increasing in the world and many suffer from greater health challenges than ever before. So much depression, disease, suffering, etc. It occurred to me to wonder, if we can be traumatized and injured in moments, even in an instant, why couldn't we heal or recover in moments or even an instant? I believe through intention, perceptions, and our choice of treatment, we can. However, it is fascinating to me that some people easily have faith in the "art" of medicine, and put their total trust in it, but refuse to even acknowledge that healing could come through some other method. There is now so much science behind energy modalities as to boggle the mind. We know that everything has a vibration, including our thoughts. We know that thought can be transmitted over space and time without hindrance. We know that emotion is literally in the molecules of the body transmitted by the brain to all the cell receptors, having an affect on the entire body. We also know that Jesus said we would do greater things than He. (John 14: 12) I can't wrap my brain around that and don't claim to know what it means. But if He could heal in an instant, could He possibly also provide a way for us to do the same thing? I am open to that possibility, and I have been a witness to it time and time again. It makes me very grateful that I live in a time where knowledge is so free flowing, so much has been provided for us to learn, and that this is a time when we won't be burned at the stake for practicing! I had a great desire to help people who were broken. I prayed for a "magic wand." I was led to EFT and energy healing. Were we meant to suffer through this life with our burdens, unable to reach our highest potential? NO! Along my way, I have encountered the occasional prefessional or regular person who has challenged me with, "well, when you do that EFT thing, it denies the power of the atonement." What? Well when YOU do that chiropractic, medicinal, surgical, herbal, fill in the blank thing, it does the same thing. Only it doesn't. We are privileged with our different personalities and preferences to have a multitude of available choices in relieving our burdens and healing on every level all the way down to the cells. So, I may go to a Dr to get a diagnosis, and have a blood test to determine details. Then I may or may not fill a prescription, talk to a counselor, pray, seek a spiritual blessing, and tap on my pressure points. Sometimes I have done all of those things. Sometimes I've chosen one or two. The one I most consistently choose behind prayer, is tapping; an energy healing modality. What excites me the most about any of these choices is that they can be used to release us from life's burdens and enable us to become who we were meant to be so that we can perform at our highest ability and bless the lives of others through our own unique missions. I. LOVE. THAT. We are meant to have joy. This helps me, help others on their journey to joy. Have you ever looked at the word JOurneY? There's JOY in it. I'll share one story. Early on in my EFT experiences, it took me nine months to get over my fear and offer it to a friend who was suffering from PTSD. She had been an after the fact witness to a suicide. Meaning she was one of the ones who saw the body after. Imagine the trauma. Short story, she was suffering immensely. Most people know that PTSD takes years of counseling and some never get over it. I don't address this kind of experience without making sure they understand what we are doing and finding out whether they are in counseling, etc. I was able through questioning, kindness, and working on the outskirts of this trauma, to help her resolve it in an hour. ONE hour! Not every traumatic experience will resolve this way, but it is NOT uncommon with EFT. The longer version of this was published by Gary Craig, EFT founder, in his newsletter, years ago. So what is energy healing? It's a shortcut method to resolving emotional, mental, and physical burdens. It works. Often like flipping a switch on a breaker in a fuse box. Give it a try. Or let me introduce you. Find out more on the video page. One last thought. EFT can be combined with other modalities. My most recent experience with that was this Summer. My daughter in law is learning The Emotion Code. She was helping me with some stuff. She helped resolve the end of an eczema issue I had partially healed but had suffered from for nearly 12 years. She determined I had a 300 yard thick oak heart wall. If you don't know what that is, go find out about emotion code. There were many emotions to work through individually. It looked exhausting. So, I went in the other room and did some VERY SPECIFIC EFT on that heartwall. After 3 "rounds" that took 3 minutes, I had her test me again. The heartwall was gone. COOL.